Apparently, Donald Trump isn't the only candidate putting his foot in his mouth on the campaign trail. 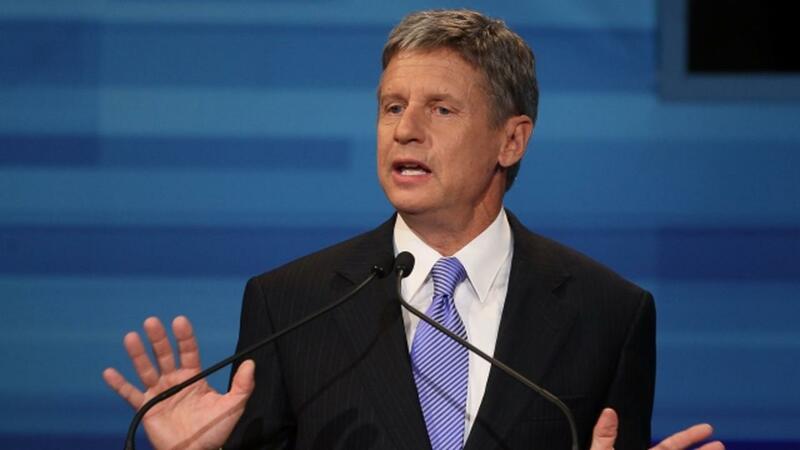 Libertarian presidential candidate Gary Johnson is in hot water with the Mormon population. While discussing religious freedom in an interview with the Washington Examiner, Johnson said: "I mean under the guise of religious freedom, anybody can do anything. Back to Mormonism. Why shouldn't somebody be able to shoot somebody else because their freedom of religion says that God has spoken to them and that they can shoot somebody dead." Johnson said it's the government's job to prevent discrimination and allowing discrimination based on religion is going to "open up a can of worms." New York Magazine reports that Johnson was likely referring to the Church of Jesus Christ of Latter-day Saints belief that church leaders can still experience divine revelation. Both Hillary Clinton and Trump are widely unpopular in Utah, leaving the door open for Johnson to pick up some votes. But offending the Mormon population means offending as many as 60 percent of Utah voters. Johnson later clarified his comments first through a campaign statement and then in an opinion article published on an LDS news website. In the statement, Johnson said: "My reference to the LDS church, made during an impromptu conversation, was an admittedly very imprecise reference to the violence that accompanied the Mormon's early history in the 1800s. ... Absolutely no offense was intended, and I regret any that has resulted." His opinion article goes on to say, "My point was that even a respected, peaceful people experienced tragic harm in the name of religion and was, in fact, persecuted by the government itself by politicians who opposed their beliefs and practices."